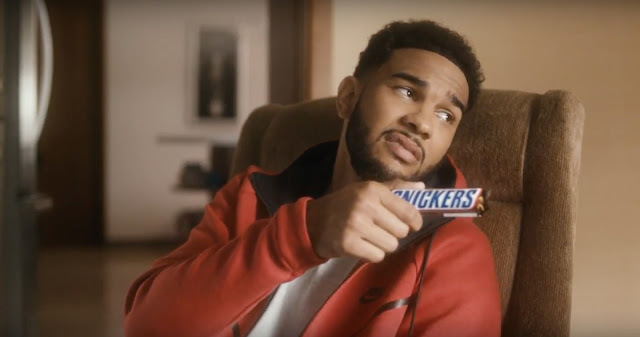 Extending its global “You’re Not You When You’re Hungry” campaign to Canadian basketball fans, Snickers has teamed up with Toronto Raptors point-guard, Cory Joseph. Following its history of sports partnerships globally, the agreement is part of a larger partnership between Snickers and MLSE, which made Snickers the Official Chocolate of the Toronto Raptors at the beginning of the 2016 season. Snickers, a brand known for its celebrity transformations, uses Joseph to remind fans of the importance of not being hungry while watching the game with friends. The spot, created by BBDO Toronto, includes 30-second version with a :15 cut-down was developed to run during games on broadcast and online. The partnership also marks the first time an original, English speaking TVC for the brand was developed in Canada.